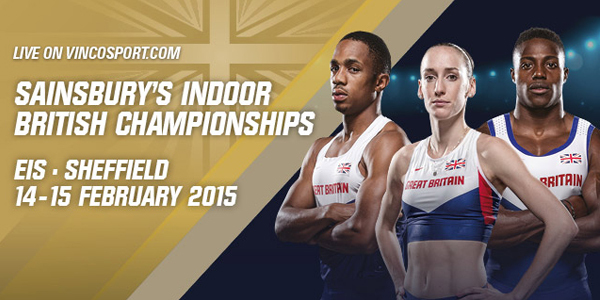 Watch the British Indoor Athletic Championships live on Vincosport.com! The biggest names in British Athletics will feature at the Sainsbury’s Indoor British Championships this weeken?d, hosted by the EIS Sheffield. With places on the Great Britain and Northern Ireland team for the European Indoor Championships in Prague up for grabs, this weeken?d will see athletes battle it out to secure their spot. The event commences at 12:00 on Saturda?y 14 Februar?y, and 11:30 on Sunda?y 15 Februar?y.